Are There Virtues in Vices? 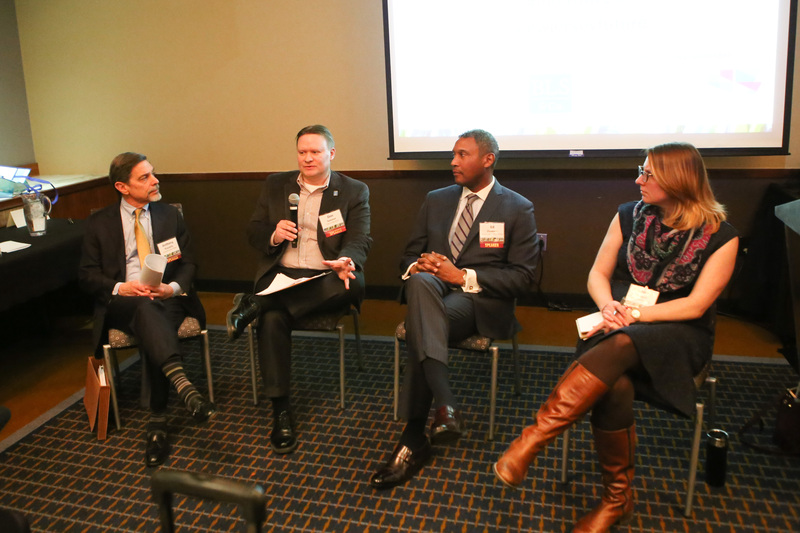 L to R: Anthony Pizzutillo, Donald Sammet, Ed DeVeaux and Courtenay Mercer discuss the virtuous side of allowing “vices” as part of downtown redevelopment. Vices. New Jersey cities and towns have long tried to regulate vices and the businesses that supply them: bars, tattoo parlors, smoke shops, and various forms of adult entertainment. Yet, as more towns look to reinvigorate their Main Street storefronts and downtown areas, are there ways that some of these vices could actually be beneficial to a municipality? 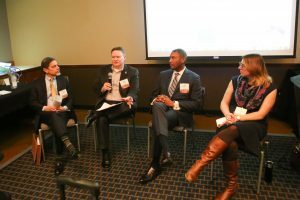 A panel of experts discussed this topic at New Jersey Future’s Redevelopment Forum. Moderated by Downtown New Jersey’s Courtenay Mercer, Edmund DeVeaux (Burton Trent), Don Sammet (City of Westfield), and Anthony Pizzutillo (Pizzutillo Public Affairs) talked about the history of regulating vices in New Jersey, and how changing social attitudes and economic incentives were changing the way vices were being viewed. Mr. DeVeaux spoke about the changing perceptions around marijuana, and the history behind its current treatment under the law. “It’s a brand new industry. Everything is new,” he said, while adding that even though there are still federal limits on marijuana, it is a thriving industry in states where it has been legalized. He noted that towns would have to decide what makes the most sense for them, but that the possibility of new businesses and jobs, and more consumers being drawn to marijuana stores, would likely have a significant economic impact on towns that choose to allow them. Mr. Pizzutillo explained that downtown areas are driven by small, unique food establishments. “Alcohol drives redevelopment,” he said, and went on to explain that New Jersey’s current laws, which limit liquor licenses, continue to act as an inhibitor on the growth of new eateries in the state. He noted that there were currently a number of distance limitations (for example, from schools and churches) that, in some cases, prevented any restaurants from serving alcohol in a downtown area. This prevents new establishments from opening, and makes it harder for downtown areas to compete. According to Mr. Pizzutillo, adding more liquor licenses could generate up to $400 million in alcohol sales. Mr. Sammett shared his experiences as a municipal planner, and how perceptions often get in the way of making good land use decisions. For example, he said, a community might be opposed to a new bar opening in town, but would be excited for a microbrewery, and that the only real difference were how those two entities were perceived, even though they might have similar impacts on the town. “You need to look at real-world impacts, not perceived impacts” he said, noting that there need to be clear reasons for restrictive zoning ordinances. “It takes a strong leader to champion a vice,” said Mr. Sammett. As New Jersey communities continue to reinvent themselves, and concurrently seek ways to alleviate strained fiscal realities, more of those champions might start showing up.